WE are entering the time of year that the media calls the silly season, when even the most ridiculous stories can make it into the mainstream. But the UK's Brexit process is such a shambles that it has made it even harder to discern real news from complete nonsense. Over recent days the Irish government has been trying to deliver some clarity. Taoiseach Leo Varadkar began by debunking the myth that the UK’s exit from the EU could be eased by the creation of a 'frictionless border'. He is forcing a more serious debate about the real implications of Brexit for Ireland, north and south. Despite speculation of a high tech solution, it seems inevitable that a hardening of the border will mean a hardening of the border. The city of Derry/Londonderry is among the locations that today straddle the existing invisible Irish border, as was captured in a recent BBC project here. Any attempt to run a hard border through the lives of those individuals, families and industries will cause major disruption. 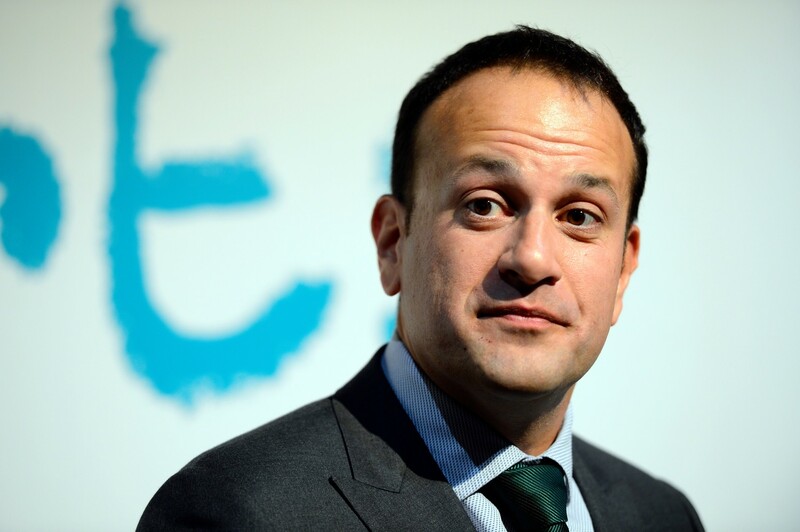 Leo Varadkar. Picture by The Irish Times. The British government has yet to reveal its final intentions, but that hasn't prevented political jousting over the possibilities. The DUP and UUP have been quick to oppose any suggestion that new economic checks could be placed at the Irish Sea. The Irish government’s Minister for Foreign Affairs Simon Coveney told RTÉ: "There is no proposal that is suggesting that there be a border in the Irish Sea." But there is a gap in the language, which could confuse the debate. There will be no moving of the political 'border'. The question is, if customs checks prove necessary, will they be placed at the existing land-border between north and south, or is there some way in which they can be placed at the ports? This has nothing to do with sovereignty. Under both options Northern Ireland remains in the UK. But customs checks at the land border could disrupt the lives of tens of thousands of people each day and breach the promise of connectivity on the island which was central to the 1998 Good Friday peace deal. Customs checks at the ports, though symbolically difficult for unionism, would leave most people's daily lives unaffected and would not alter UK sovereignty. Have unionist parties been arguing for the option that causes maximum disruption? Can they support Brexit, yet expect to carry none of the political discomfort themselves? All sides are battling to defend their interests, though when the time comes for real decisions, the choices are unlikely to be as simple as those debated over recent days. But the joy of Brexit is that, whichever scenario emerges, it seems certain to cause economic damage. Until the British government can prove otherwise, the future appears to be a choice of varying degrees of pain. The Taoiseach will be in Belfast this week for a series of events including a keynote speech at Queen’s University on north-south relations. He has already helped to bring the debate into the real world by challenging pro-Brexit politicians to come up with answers to the problems they have created.